However Mr Dodds also said the government must not accept the EU's position as "unalterable". The Westminster vote means the UK has missed an EU deadline to delay Brexit to 22 May and leave with a deal. 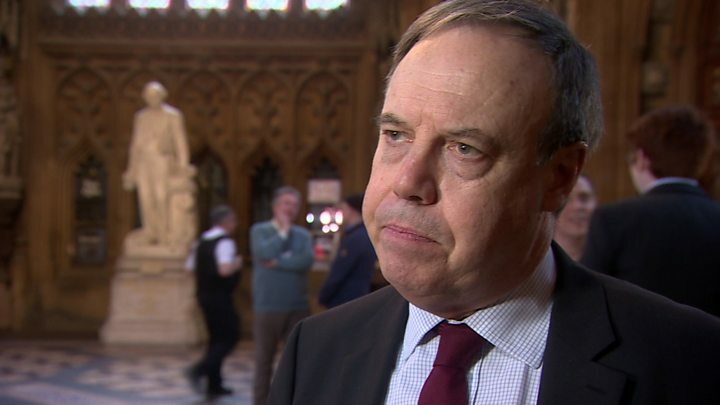 Mr Dodds said he did not rule out supporting a "soft Brexit" and that the withdrawal agreement in its current form risked leaving "Northern Ireland behind, causing economic and political ruptures between Northern Ireland and the rest of the United Kingdom". However, he did maintain the DUP's support for Brexit: "We believe the referendum result should be respected and delivered on." He reiterated his party's position that it wants Brexit delivered without the Northern Ireland backstop. Nigel Dodds responded that the party represents more people in NI "than anybody else". Taoiseach (Irish prime minister) Leo Varadkar has said the EU should be open to the idea of a long extension ahead of Brexit if the UK reconsiders its approach in the wake of the withdrawal deal's latest defeat in Westminster. He said it was up to the UK government to indicate how it plans to avoid a no-deal. Mr Varadkar said EU leaders "have agreed unanimously that the Brexit withdrawal agreement will not be reopened". He added that EU leaders "must be open to a long extension should the UK decide to fundamentally reconsider its approach to Brexit and put back on the table options previously ruled out". "I believe that will result in a generous and understanding response from the 27." The taoiseach is to hold meetings next week to discuss Brexit with French President Emmanuel Macron and German Chancellor Angela Merkel. Mr Varadkar will meet Mr Macron in Paris on Tuesday, and on Thursday he will welcome Mrs Merkel to Dublin. What have the other NI parties said? Sinn Féin president Mary Lou McDonald tweeted that it was a "circus at Westminster" and there was "dismay" in Ireland. She said she was heading to Brussels on Monday to meet EU chief negotiator Michael Barnier and that "Ireland will not pay the price for the Tory Brexit". Alliance Brexit spokesman Stephen Farry said if the process has not reached a "positive and constructive conclusion" by 12 April, the government has no other option but to revoke Article 50. 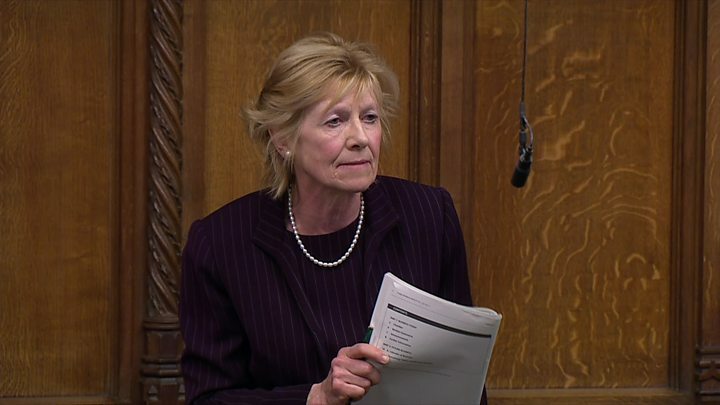 "A no-deal Brexit would be a catastrophe for Northern Ireland. It must be avoided at all costs," he said. SDLP Brexit spokesman Daniel McCrossan also said that Article 50 - the legal process that triggered Brexit - should be revoked. "But the very minimum required is a long extension to fundamentally rethink where we go from here," he said. The UUP leader Robin Swann said his party did not support a second referendum. He added that the negotiation process has been "poisoned by the backstop" and cannot be resolved until that is addressed.